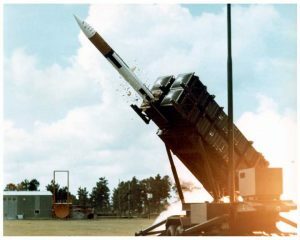 Romanian President Klaus Ioannis stated that planned Patriot Missile System purchases are defensive in nature and do not pose a threat to Russia. He made the statement on the heels of Romania standing up a Aegis missile defense system in-country as well in recent years, which was said to protect Europe from a rogue state missile launch, such as from Iran. “Earlier this month, the U.S. State Department said it has approved the possible sale of seven Patriot missile defence systems worth $3.9 billion (2.98 billion pounds) to Romania,” writes Reuters. Russia has not accepted the explanation that they weapons do not threaten Russian security and has vowed a response. Missile defense has long threatened Soviet, and now Russian, military leaders as it could possibly render Russian nuclear forces ineffective, as the West is seen to have a technological advantage. “We are not getting ready to attack anyone. We are preparing … for our army to benefit from modern, efficient features. They are meant to defend us, to guarantee the security of Romanians,” said the president. Romania has committed to raising defense spending to the 2% level required by the NATO alliance, ahead of other Western European nations such as Germany or France.